The Essential Ayung River Rafting Ubud Guide: What to Expect – Visiting Bali would be more exciting if you’re not only spend your time for beach and sunbathing. You should see the traditional living, the dances, the foods, the crafting, and the challenging activity. 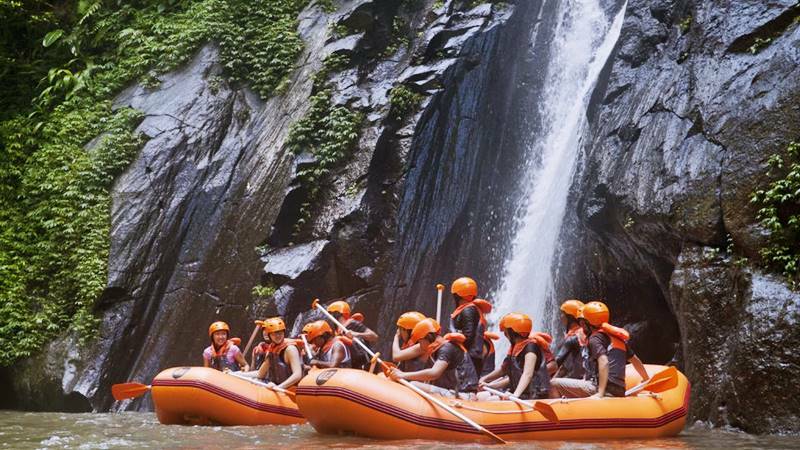 You can try Ayung river rafting among the many activities in Bali such as ATV ride and Telaga Waja river rafting. However, it is a good idea to explain a few facts about the Ayung River in advance before we tell you more about rafting on the Ayung river itself. Ayung river is the longest river in Bali island. It has about 68,5 kilometers long. It start from the mountains in northern side of Bali island. The river then pass to Bangli regency, Gianyar, Badung and end at Sanur Beach. The river has a medium flow that surround by natural rainforest. In addition, there is also a waterfall in a side. This river are safe for rafting almost along the year. Ayung river has close connection to Bali citizen. Most of the citizen work as farmer, so that river is important for them. The citizen respect the river by keep it clean and surround by green plants. That’s why this river looks so natural. This river has religion side, too. There’s a part of the riverside that has religious relief. Seeing the relief will invite a wonderful feeling. Ayung river rafting located in Ubud village, Gianyar Bali. For long time, people know Ubud for the traditional culture, the farm, Monkey Forest, and the traditional art market. Rafting become an alternative tourism choice when you visit Ubud. The location of Ubud is in the south east side of Bali island. It’s about 35 kilometres from Kuta. You can rent car and drive for about 1,5 hours. The road are good. There are a lot of traffic sign to help you find the direction. It also wise to browse the online map before you start driving. Rafting is a challenging activity that people do on water, using a rubber boat. As not a professional rafter, visitor will lead by an instructor. The instructor will do a briefing before rafting. In this briefing, visitor will get information about how to use the safety equipment, how to act to move the boat, and many more. This information should be understood for the safety off the visitors. Closed clothes are not must, but visitors should think about the safety, because they may be fall from the boat. It’s better to wear long pants and long sleeves shirt to protect skin. Shoes will help to protect feet. Ayung river is rocky. Shoes will be helpful when visitor should stand in the river. Prepare dry clothes for change after the rafting. In the starting place, visitors will get information about how to do rafting on Ayung river as one the best whitewater rafting in Bali. They’ll pick with a car to go to the starting point in the river. Along this trip, you’ll see the rice farms, the village, and green scenery along the way. Ayung river has II/III level river, so that it’s safe enough for those who never do rafting before. Ayung River Rafting Ubud also known as family friendly rafting, because even ten years old or older children can do this activity. Of course with the properly protection and they do this together with their parents. The flow of the water in Ayung river is not that hard, but this river is rocky in many part. You’ll got the feeling of up and down, beat a rock, and get turning around. Feel the fresh water and get wet. That’s one of the best experience of rafting. The instructor will stop in some spot. This will give visitor to take a rest and maybe take some photos. 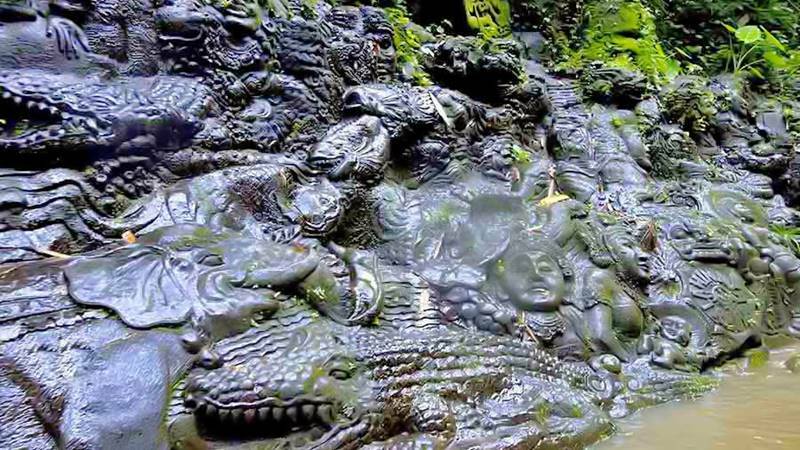 The best spot of Ayung River Rafting Ubud are the waterfall and the relief. The waterfall is not big or high, but it beautiful. Visitors can stand under the waterfall and get the sensation of natural massage. The water in this place is not that cold, so that visitor can enjoy play with water. The next best spot is the relief. There are many character that carved there. Those characters has connection with a religion, so that visitor should respect them. Respect can show by keeping the cleanlines and not do something that can destroy the relief. Some instructor may make the boat fall in this place, so that all of the visitor will get into water. Visitors should not worry, as long as they wear the safety equipment. It will help them float on the water, even if visitor can’t swim. The instructor will keep eyes on their passengers to keep them safe. After the rafting finished, the company that serve the rafting will guide visitors to the pick up location. In this place, usually they serve meals. Rafting is an interesting activity that can make visitors hungry after it. After the meals, visitors will pick with cars to the starting place. There, visitors can get change. Ayung River Rafting Ubud is an interesting activity that can do by people of many ages. Good preparation will guarantee that this activity can be an unforgettable experience. 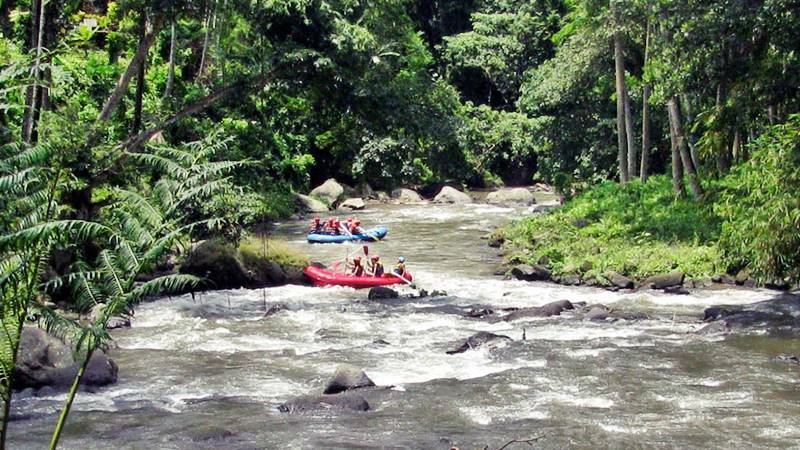 So, let’s take part in an exciting whitewater rafting experience along the Ayung River Ubud.